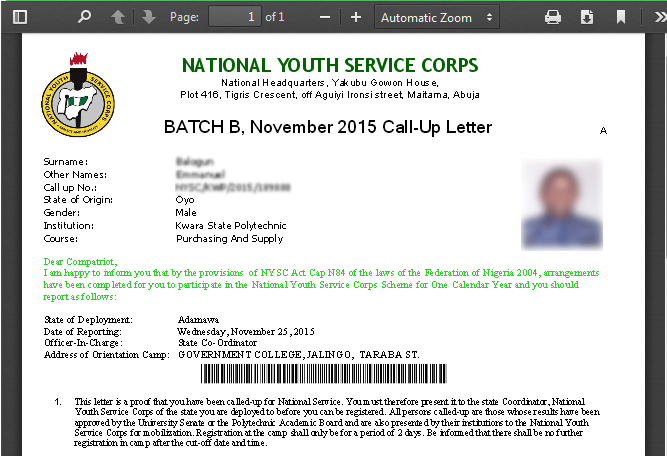 NYSC call up letter printing portal has been enabled. 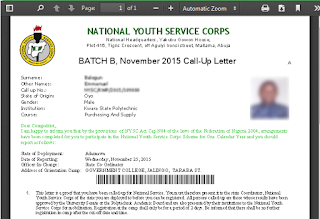 The National Youth Service Corps (NYSC) wishes to inform all prospective Batch A 2016 corps members that they can now print their call-up letters online. 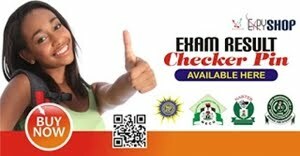 Once on the NYSC portal, login with your registered e-mail address and password and click the 'Print Call-Up Letter' link. NOTE: Printing of call up letters starts on Wednesday, 20th and ends Wednesday, 27th April, 2016. 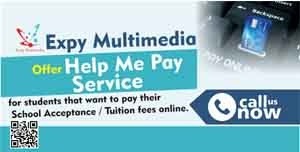 Those that didn't pay should collect their call-up letters from their Institutions of graduation. Batch A Orientation Course (stream I) holds from 27th April to 13th May, 2016 while (stream II) holds from 21st May - 6th June, 2016.